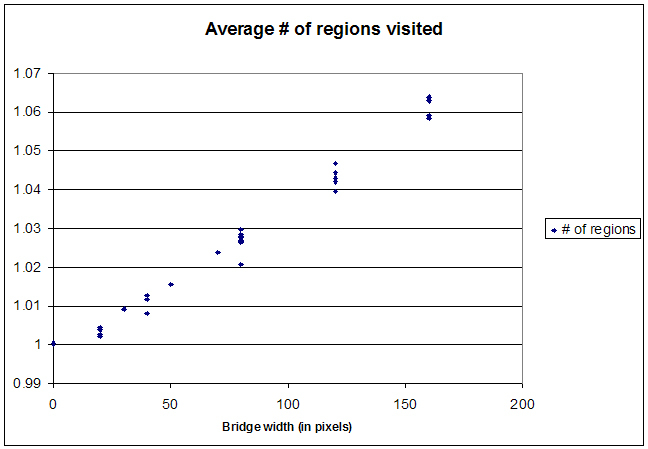 These are the average number of regions visited on 30something runs of our simulation with varying bridge widths. As is very evident there is a strong correlation between the width and the number of regions visited. This entry was posted on	November 11, 2009 at 12:36 am	and is filed under Uncategorized.